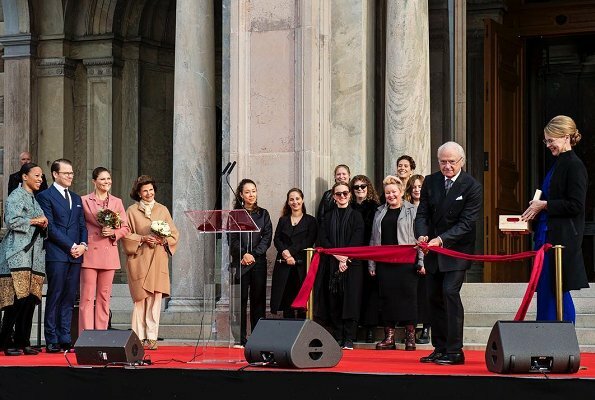 On October 13, 2018, King Carl Gustaf, Queen Silvia, Crown Princess Victoria and Prince Daniel attended the opening of National Museum which has been renovated. The renovation works of the museum lasted for 5 years. National Museum is the art and design museum of Sweden. 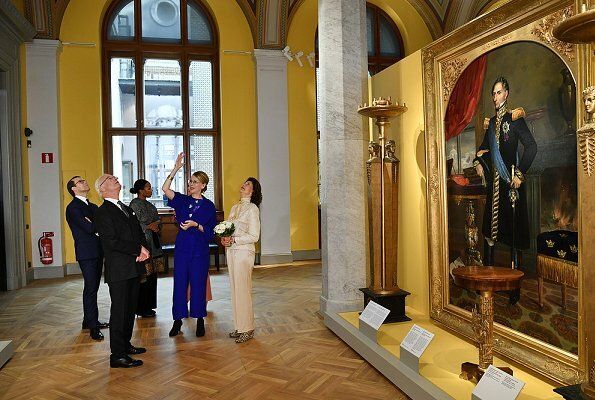 National Museum is a public institution which also performs the duty of protecting the cultural heritage and supporting art, interest in art and art knowledge. 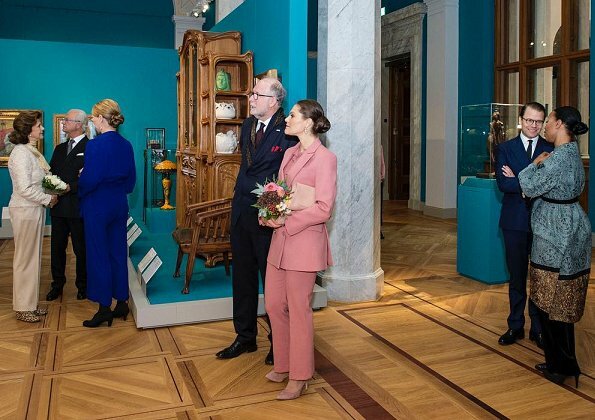 (Princess Victoria wore a new blazer and trousers by Rodebjer). The solution might be to get used to such shoes, they are trendy. Worth to be noted that the queen who is 74ys old decided to go for them. The coat is not very traditional neither, but I think acceptable for such an event. I don't know what happen'd Q Silvias coat and shoes are so far off the mark. CP Victoria looks very good today. Well even a Queen may have a not so good day fashion wise. Silvia!!! No-no-no-no-no!!! MAAAAAAJOR FAIL - jacket, PANTS, S-H-O-E-S!!! Yikes!!! Queen Silivia is trying out somerhing new - I like it. 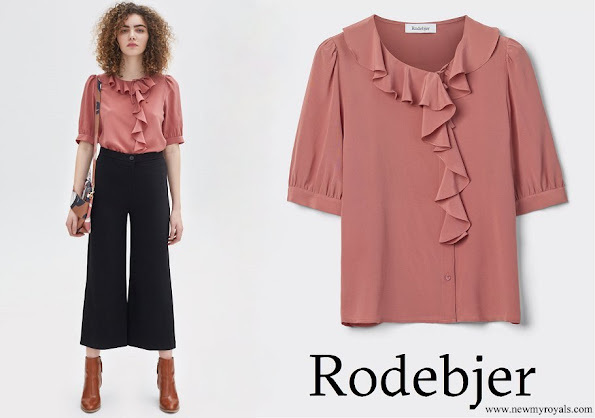 Personally I don‘t like wedges at all, but the leo pattern looks nice with these trousers. they look more like slippers. I like the Queen's look besides the shoes. Her hair looks really nice and I love the outfit paired with the coat. 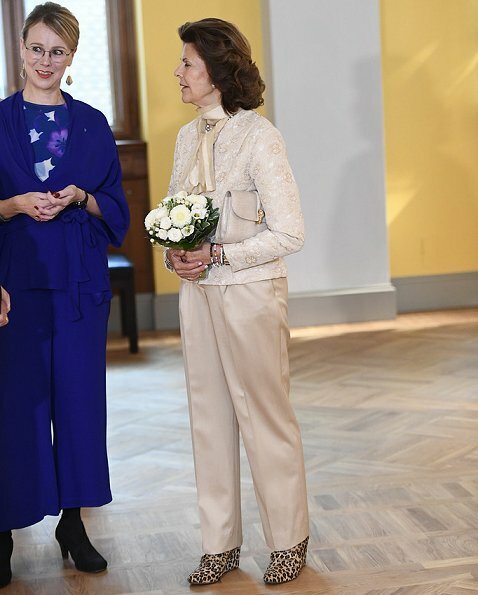 I don't mind the shoes on her, they just don't seem to match the feminine silk suit. She needs something more trendy and casual for those shoes/mules. Dat roze broekpak bevalt me niet. Victoria looks fabulous - love that shade of pink. When the Queen has her coat on I don't find her boots as jarring but once the coat is off I don't think they work. 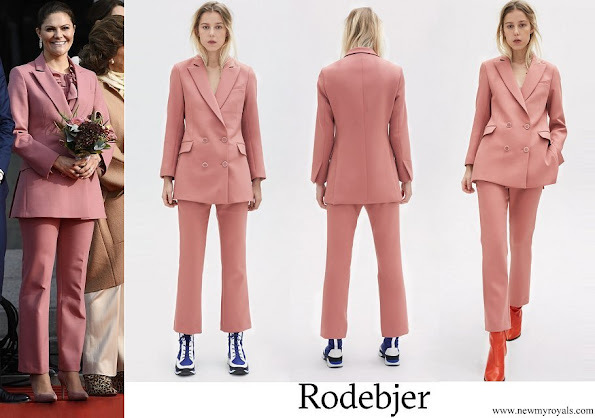 But then I don't like the suit - the jacket is boxy and the trousers look like she's a pastry chef. They're too big. 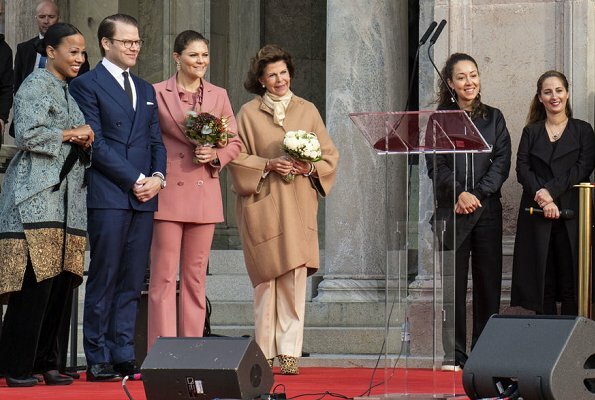 I'm curious if the organizers of the even were told in advance what the Queen and the Crown Princess would wear because Silvia has a white flower bouquet and Victoria has a pink! 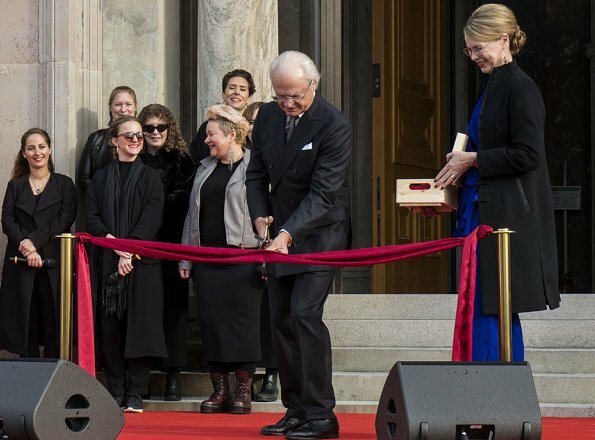 Yes of course Elin, this happens in all royal houses (Spanish royals don't accept bouquets). Presenters know in advance what the royal ladies will be wearing so that the color & arrangement of the flowers look nice with their outfits. Silvia!!! She is awesome! She needed some guideance as far as what to wear with her amazing shoes, 'cause what she is wearing isn't going to do it. For one thing, I think she has too much "pants" in her pants. Just be she is a queen does not mean she has to dress in a boring, conservative way at all times. "A" for effort. Now if Victoria would just take note. I am just tickled to see Silvia. Love Queen Sylvia's ensemble apart for her choice of footwear - horrid in my opinion. 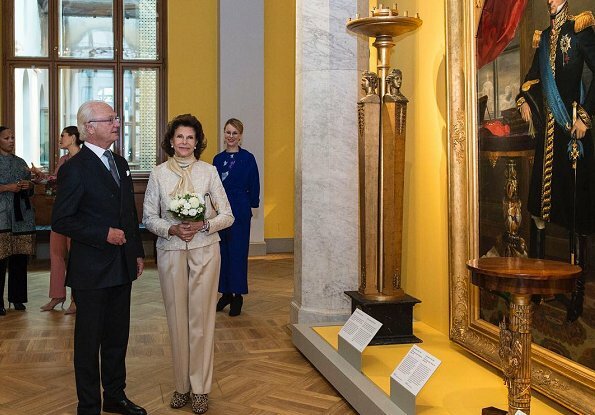 Queen Silvia - YES! Who would imagin, those shoes, a twist. I like it when she is not so correct. And her hair is so elegant. 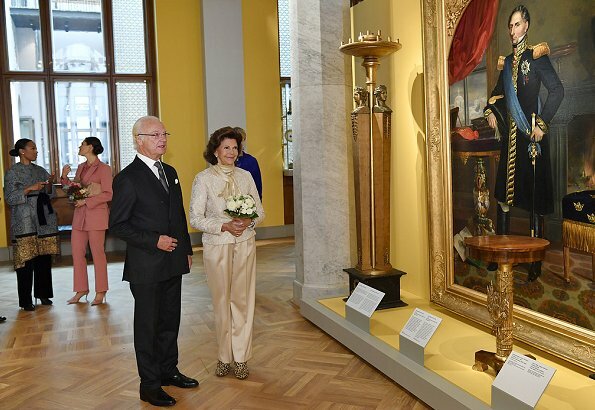 Princess Victoria's outfit is boring, not to mention her hair.